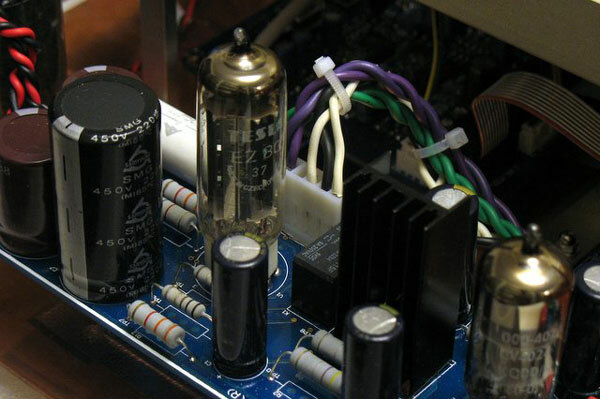 There are many poignant examples of the exceptional design and engineering that has made the Philips DA1541A the “golden era” chipset for compact disk, such as its use in the legendary Marantz CD-12/DA-12 CD Replay system which is still used as personal reference by noted reviewer Ken Kessler. The Philips TDA1541A uses external digital and analogue filters, allowing the designer the freedom to choose the optimum solution for digital and analogue filtering. This is in direct contrast to subsequent and even the latest generation of DAC chipsets, where the digital and analogue filters are located inside the chipset where it cannot be changed or improved. In addition, onboard circuits will normally make heavy comprises due to the size constraints of the silicon die and inevitably generate higher noise and jitter levels due to the close proximity of the internal circuits. Furthermore, the Philips TDA1541A’s unique dynamic element matching offers exceptional performance and together with the fact that many of its parts are external to the chip or accessible externally, enable the competent designer to maximise each and every facet of this DAC’s truly exceptional performance. The CD-77 is at the envelope of the “Redbook” standard for compact disk audio reproduction due to extensive and exhaustive research and development by AMR into maximizing the sonic performance of the Philips TDA1541A. AMR’s research and development team’s prior experience with the Philips TDA1541A in other compact disk players as well as with designs of their own, intimated that the full performance of this chipset had yet to be extracted. As a result, a considerable amount of time and resources was therefore devoted into understanding the silicon die of the Philips TDA1541A. 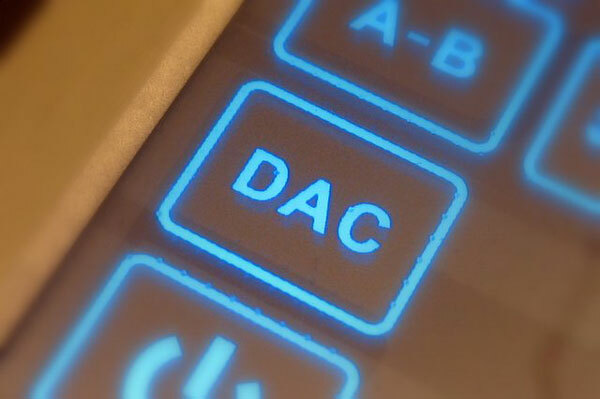 The result is the OptiSignal®; conditioning circuit which has been designed to optimise every single operating parameter of the Philips TDA1541A including off as well as onboard circuits. 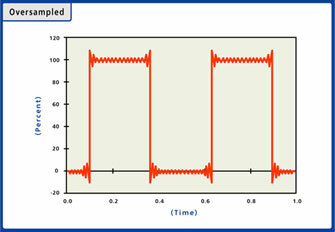 The resulting sonic performance has been extended close to the theoretical limit. AMR is confident that the CD-77 compared to other compact disk sources past and present (even those that similarly employ the Philips TDA1541A), is able not only to compete, but excel and re-define a new standard in the ability of the Redbook compact disk medium to bring music to life. Put simply, the CD-77 has recovered much of the ground lost by compact disk to well-implemented vinyl front-end systems. Earlier, it was explained that the digital and analogue filters of the Philips TDA1541A are externally placed. This has allowed AMR to uniquely combine the best of the classic with the latest, through the incorporation of the most advanced Digital Signal Processing (DSP) engine from Texas Instruments to perform the function of the digital filter. AMR appreciates that “no one sound fits all” because not only do personal tastes in sound reproduction vary, but also with recordings – the digital processing and mastering stages often differ from one record company to another and often even between different pressing plants of the same company. With the exceptional digital-to-analogue foundation in place, the OptiSample®; digital engine using the most advanced Texas Instruments Digital Signal Processing (DSP) chip, allows six different sampling settings – from Direct Master without any digital filtering/processing or using our proprietary analogue filter, two and four times oversampling, all the way to upsampling to 96 and 192 KHz. Indeed, this is all executed with no compromise to user-friendliness: a single button on the RC-77 remote commander controls the different modes. Thus, the listener may easily and quickly select whichever Digital Signal Processing meshes best with the original recording and suits his or her personal preferences. Conventional compact disk players use several generic clock crystals (such as one for each of the DAC, transport and micro controller). Looking more upmarket, even so called “super-clocks” are of a mediocre commercial grade that is not that much better than generic clocks when it comes to low jitter performance. These clocks all have one further weakness; they all generate signals that out of synch with one another. The result is unwanted beat frequencies and higher overall digital noise, which combined, result in increased jitter levels. Regarding CD source clock crystals, there is a disingenuous perpetuation of the viewpoint that in terms of absolute frequency (usually specified as the deviation in ppm – parts per million) “high precision is good”. In fact, rather than the absolute frequency precision, it is the phase noise of the clock that creates jitter, which is why this should be the key parameter of a clock crystal’s sonic performance. In reality, it is relatively easy (i.e. 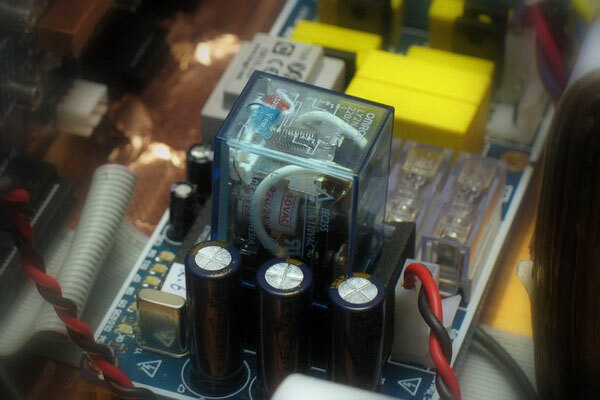 low cost) to make a clock crystal with high precision (<0.5ppm). However making a clock crystal with low phase noise (jitter) is much more difficult (i.e. expensive). Perhaps this why the aftermarket so call”super-clocks” often quote the former and omit this latter, more relevant specification. Just as importantly, the use of more than one clock (even a “super clock”) if it is not synchronised to generate a master clock signal, will mean that the issue of all clocks being out-of-synch with one another has still not been addressed. Again, this leaves the other major source of jitter unresolved. The OptiClockLock®system means that all the clocks in the CD-77 are purposely synchronized to one temperature-compensated, low-jitter master clock module. This clock module with its dedicated power supply, boasts noise performance at the limits of what is physically possible. Further, this master clock unlike other clocks, does not uncharacteristically change frequency as the temperature changes because it was constructed to strict military rather than lax commercial standards. With a class-leading level of low phase-noise, it comprehensively outperforms all other clocks. The true uniqueness of the OptiClockLock®system becomes clear if one considers that the only other system which has a similarly sophisticated clock system is the K2®XRCD®studio mastering system by JVC®. As a rule, digital circuits require extensive regulation to reduce digital noise and phase noise, which if left unresolved, pollute the audio signal. They are also needed to meet the tight supply voltage tolerances required for optimum operation of digital circuits. Most digital power supply sections in compact disk sources employ basic regulation stages that consist of one single chip regulator (even if many “one stage” regulators are used simultaneously). The resultant effective operating frequency range is only up to ~1kHz , thereafter losing regulation quickly above. Bearing in mind that digital noise exists all the way into the GHz region and that audio signals reach up to 20 kHz but are influenced by ultrasonic noise of much higher frequencies, the result is a large amount of noise has not actually been suppressed. Still in abundance, digital noise is therefore still very much in existence, continuing to pollute the audio signal. Understanding and appreciating that digital noise has a very wide frequency bandwidth range is critical. In the CD-77, rather than mindlessly repeating the same generic regulator chip in all positions, a total of 14 different but specifically designed regulators are employed. Each regulator is matched to the subsequent operational section by applying the most appropriate type of regulation circuit (series regulation, shunt regulation, optimised for lowest noise, optimised for lowest impedance etc.) The result is that every power supply section is fully optimised for every digital circuit to ensure the best possible performance. The end product was certainly worthwhile, as supply noise has been reduced by a factor of more than 1000 times compared to standard regulators to result in the virtual elimination of digital noise. Back in 2001, Philips Electronics ceased production of its own ‘industrial standard’ compact disk transports. Presently, new so-called “Philips transports” are quintessentially Asian-made clones constructed to much lesser standards and are of questionable reliability. Dissatisfied, AMR went back to the drawing board to develop its in-house OptiDrive®transport mechanism which has incorporated major proprietary improvements to a genuine and already excellent mechanism. OptiDrive® is comprised of the high-precision and reliable Japanese-made Sony K-series transport allied to the very musical Phillips CD-18 servo system. The resulting exceptional sonic performance of the OptiDrive® is a natural and perfect partner for the unrivalled digital-to-analogue section. The OptiDrive® transport mechanism also uses a high-torque, direct-drive motor sourced from Mabuchi Japan and utilises a very substantial CNC machined aluminium CD well for excellent resonance and shielding properties. 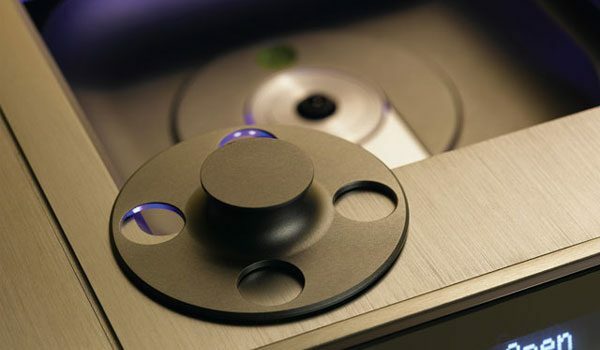 The CD spindle was designed to provide extra-stable support to the CD (250% more surface area). 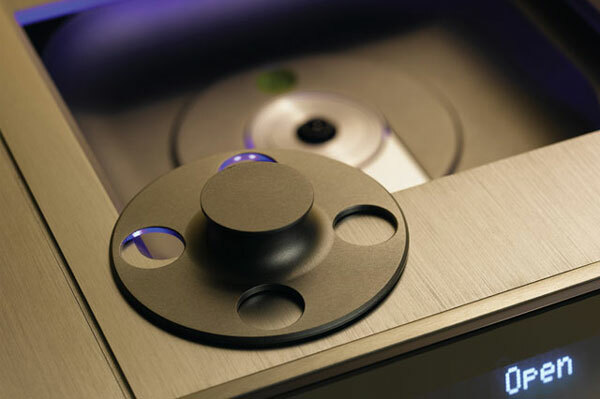 The CD clamp is an in-house design to maximise the surface area of the CD to ensure proper support, leading to optimised stability and minimised resonance. After resolving the mechanical issues associated with a reliable and accurate data extraction from CD AMR have added to the OptiDrive® system a 16 Frame Memory Buffer and a specially designed spindle motor control phase locked loop that ensures the buffer is kept filled at all times. All these features coupled with proprietary software (for exceptional tracking ability and functionality) has ensured that proper reading of the compact disk and extraction of the music-data contained herein without errors or jitter, is taken to a whole new level. The CD-77 has stayed true to AMR’s uncompromising approach as the complete analogue output section is a full “ground up” design comprised of thermionic electron valves in all functions. Not only this, but AMR’s use of New Old Stock Valves is rare in this day and age. 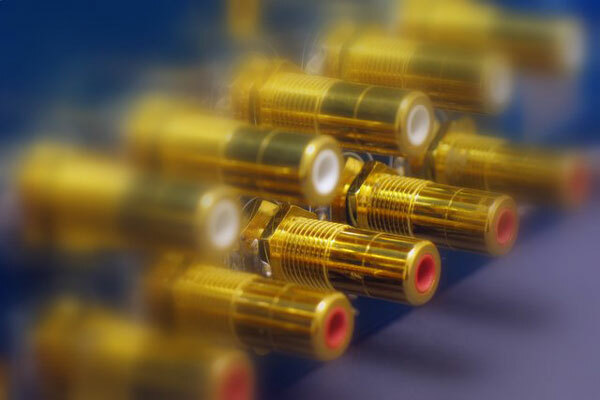 New Old Stock Valves were produced throughout the original golden age of valves or later by specialist military suppliers to much higher standards than most current production valves. They were usually stocked for military or telecommunication purposes and despite being of limited supply, significant stocks still remain available to this day. 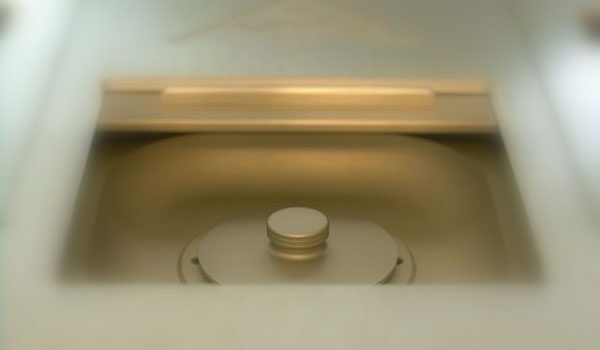 Several factories in China, Russia, the former Yugoslavia and the Czech Republic currently produce new thermionic electron valves (and seem set to continue to do so for years to come), which are fairly inexpensive and are often of adequate quality. Some have even been labeled with prestigious brand names from the golden age. 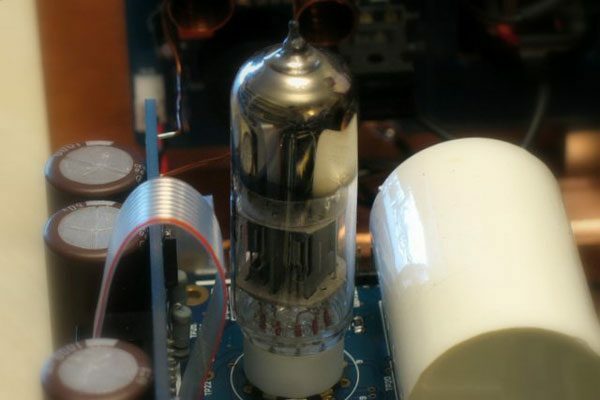 However these valves rank as reasonable seconds when compared to the best from the likes of Siemens, Telefunken, Philips, Mullard, Brimar, General Electric, Western Electric and others. 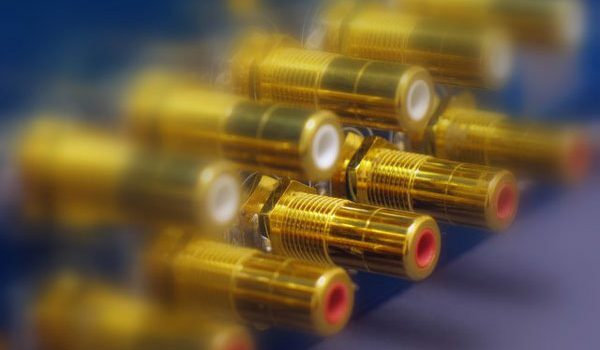 Of course, being limited in supply and not renewable in most cases New Old Stock valves usually carry a substantial premium over current production valves, which is why they are rarely seen in the production of high performance audio equipment. AMR has sought out the best quality valves of which significant stocks remain (to ensure the supply of spares and for consistent sound quality in production) and purchased them, in the knowledge that the premium paid is money well spent. From the very beginning of our analogue circuit (the initial power supply rectification stage), instead of solid-state diodes, New Old Stock thermionic electron valves are used. Thereafter the CD-77 employs a unique and revolutionary output stage, unlike most thermionic electron valve circuits, it uses zero negative feedback, boasts extremely low distortion, low output impedance, high gain and unrivalled linearity, all in a simple direct-coupled circuit. The design parameters were specifically tailored to optimise synergy and operation with the Philips TDA1541A DAC chip. With the implementation of the OptiBus®USB digital input, all music content (including WAV, AAC, WMA, MP3 etc.) stored on the ever more ubiquitous personal computer can finally be played back through the CD-77 in their full glory. In addition, with the ever increasing storage capacity of the personal computer, it is now possible to turn a personal computer into an audiophile jukebox with storage capacity of hundred of CDs without any loss of sound quality. Using the more common S/PDIF digital connection to connect a personal computer to an outboard DAC was deemed unacceptable to AMR because of the high levels of jitter presented in the S/PDIF digital connection. This is the same reason why the provision of either S/P-DIF digital outputs or inputs on the CD-77 was rejected at the outset. 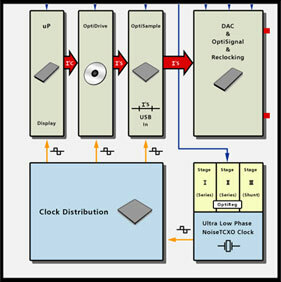 The specially designed ultra-low jitter OptiBus®USB digital input is an interface between the personal computer and the CD-77. Due to its isosynchronous nature the USB interface, as compared to the serial S/P-DIF or AES/EBU protocol, it offers much lower levels of jitter. Unfortunately many common implementations of USB receiver chips do not take advantage of this. OptiGain®is AMR’s amplification circuit of the audio signal to a desired level in the most optimal way. In order to interface signals, often some form of gain is needed. 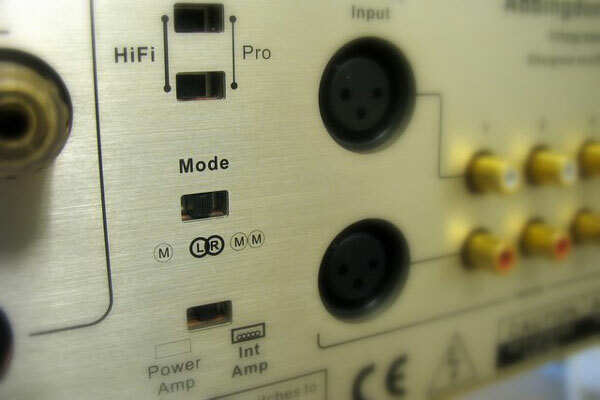 Audio equipment requires both voltage gain and power buffering – voltage gain, where levels need to be increased and power buffering where loads (like speakers) need to be driven. In power amplifiers a common approach is to design the amplifier circuit to have very high gain (which requires a large number of amplification stages and invariably adds noise and distortion for each added stage) and a large amount of negative feedback to set circuit gain. 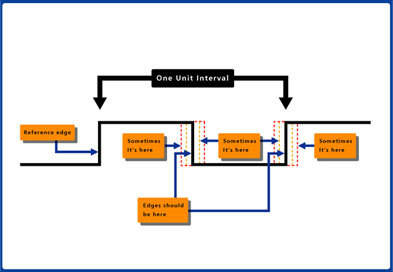 Often several such multi-stage circuits with their attendant negative feedback circuits are connected one after another. In the AM-77, two stages are used for the OptiGain®circuit. First, the signal is amplified to the desired voltage using the excellent NOS 5687 thermionic electron valve. This is performed with exceptional linearity and drive without the need for a negative feedback loop. 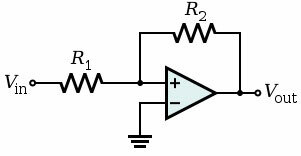 This solution is much more costly and difficult when compared with the more common and cheaper use of operational amplifiers (Op-Amps). The significant sonic performance over a circuit with negative feedback places it in rarefied company. So much so that the pre-amplification stage of the OptiGain Circuit sonically embarrasses many other standalone pre-amplifier stages. 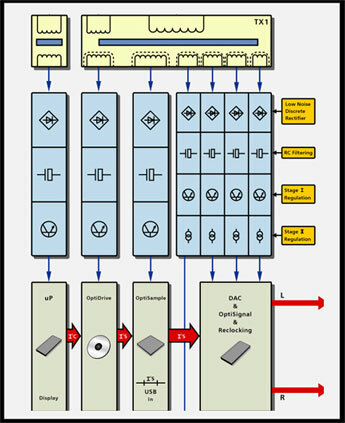 The second half of the OptiGain®circuit is the power buffer stage where solid-state technology is combined with a thermionic electron valve phase-separation circuit. Simply put, where power buffer is required, well-implemented solid-state circuitry usually surpasses the performance of even the best circuits employing the rmionic electron valves of readily available and domestically safe-use types. The power buffer stage uses AMR’s “Class X: Jikoda circuit” with bipolar output devices, which in real-time, simultaneously detects and cancels unwanted artifacts in the audio signal: none pass to effect the playback of music, exceeding the ability of even traditional well regarded Class A circuitry. In additional, making the power buffer stage balanced and by actively driving both terminals of the speaker (as opposed to connecting the negative terminal of the speaker to some ill-defined “ground”) will ensure that the amplifier remains in full and direct control of the attached speaker and that any noise or error signals impressed upon the power supply is suppressed. Of course, this requires in effect, two complete power buffer stages for one channel of amplification, instead of the more common use of just one power buffer stage and is thus, twice as costly but the extra cost is well justified by the clearly superior sonic performance. Finally, having a balanced power stage allows the application of a very specific form of feed-forward error correction, a unique method of reducing non-linearity that is far superior to the common use of so-called negative feedback in amplification devices. In the AMR circuit the error between input and output signal in one of the two balanced phases is precisely extracted and applied in reverse polarity to the opposite phase section. As a result, the output is only left with two signals which are in OPPOSITE polarity to each other. With all the errors removed, the result is a perfect replica of the input signal, driving the speaker’s output. This feed-forward error correction in effect completely removes the “solid-state” sonic signature of the power buffer stage. This leaves an amplifier that behaves sonically like an optimal, extremely high power (>160W) and very linear (0.09% THD @ 160W) single-ended triode amplifier with only two stages, which also has a constant high damping factor (over 15 from 1 Hz to 100 kHz). OptiLevel®is a patent-pending “direct path” precision volume control system. Conventional potentiometers use either carbon or conductive plastic tracks riveted to metal tags or pins with a “wiper” scraping over this track and a second contact. This arrangement significantly degrades the music signal. Digital volume controls, often used in high-end equipment, disingenuously channel the signal through thousands of tiny transistors (i.e. inside an IC package). Hence, the signal is still excessively comprised, often more so than the simple potentiometer. Often vaunted as the ultimate volume control, so-called stepped attenuators combine rotary switches and resistors to form a precision volume control of laboratory grade quality if implemented well. 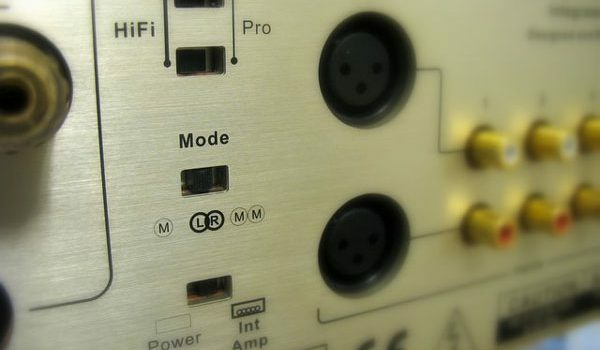 However, stepped attenuators are often not remote controlled and usually offer only 24 steps with a coarse adjustment, meaning the optimum volume for a given piece of music usually and annoyingly ends up some where in between the available positions. Further the stepped attenuator being a purely passive device, often lacks the proper drive required for the following stage, hence the dynamics of the audio signal is usually compromised. AMR’s patent-pending OptiLevel® direct volume control system, when channelled even through the most complex route, the audio signal only passes through a maximum of just 3 premium-grade resistors employed in series to control the volume. 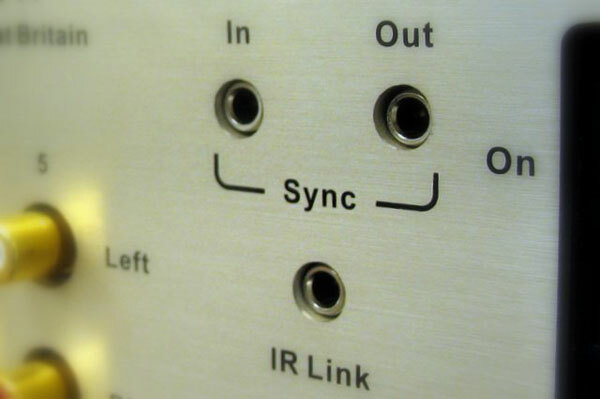 AMR also uses only the highest-grade gold plated silver contact relays (as switches). In fact, the hermetically sealed relays provide a much more optimal switch than most rotary switches used in stepped attenuators. This extremely high quality signal path is implemented around the NOS 5687 thermionic electron valve. It has the ability to match and provide the required drive to the delicate audio signal at all volumes while still preserving every bit of minuscule information in the signal. Incorporated into OptiLevel® is “Level Offset Matching.” With the vast amount of input sources available on the market, the incoming voltage is unlikely to be the same for all. 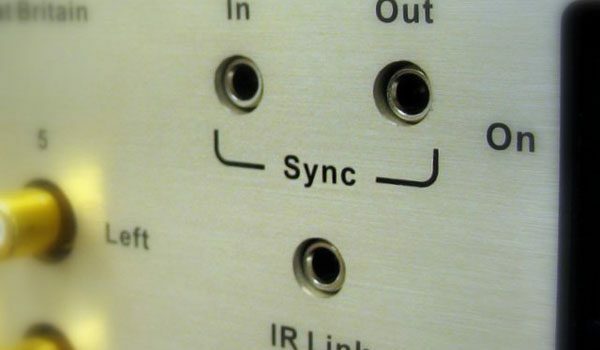 As a result, when switching between sources, there may be an unpleasant increase or annoying decrease in the volume. With “Level Offset Matching” the microprocessor can be easily programmed by the user to ensure that all source levels are matched and memorised so that they remain at the same level for enjoyable listening or proper comparison when switching sources. Being fully remote controllable, a broad range of 71db precise volume adjustment in 1db steps is offered. The desired volume for any given piece of music can be easily set quickly and repeated. AMR’s OptiLevel® volume control system provides a sonic quality exceeding the very best stepped attenuators with the convenience and flexibility of the best digital volume controls. The AM-77 has not only exceptional form but also incomparable functionality. 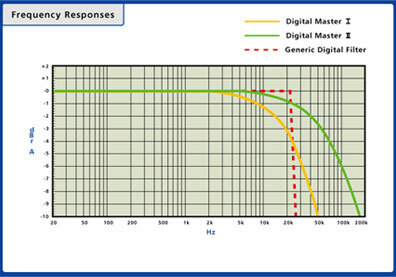 The operating sensitivity and impedance of mainstream speakers vary widely (typically from 80dB to 95dB and 4 ohm to 16 ohm). Add to this the popularity of bi- or even tri-amplification for suitably-equipped speakers, AMR has appreciated that there is no single system configuration that suits all or even most needs. The combination of synchronising multiple AM-77s together (in practical terms the numbers are limited only by room size and cost) allows for systems of superb quality to be assembled to any level of complexity. One might use three synchronised AM-77s and a modern high-quality digital crossover to provide a system to drive a fully actively driven 3-Way speaker system to the highest possible level of quality. Or be it the use of three AM-77s synchronised for a multi-channel surround sound system or the use of two AM-77s synchronised in mono-block bi-amplification mode to drive suitably equipped speakers. The AM-77’s flexibility is limited only to that of the imagination. With the growing ubiquity of home theatre, it is increasingly more commonplace that home theatre and 2-channel systems exist in close proximity or side by side. With this in mind, the AM-77 can allow its superior sonic performance to be also enjoyed by the home theatre system. By selecting the “Home Theatre Direct” mode, the AM-77 will effortlessly blend itself into a complete home theatre set-up. The sonic performance of the home theatre system can then be raised to that of the existing 2-channel music system. Throughout the AM-77, AMR has subtly and carefully integrated electrical safeguards to cater comprehensively for potential direct current, over-voltage, under-voltage, overload and over temperature situations. The only stipulation was that the integration of the protection devices had to be benign so as to result in no sonic degradation whatsoever while protection circuits are not engaged. 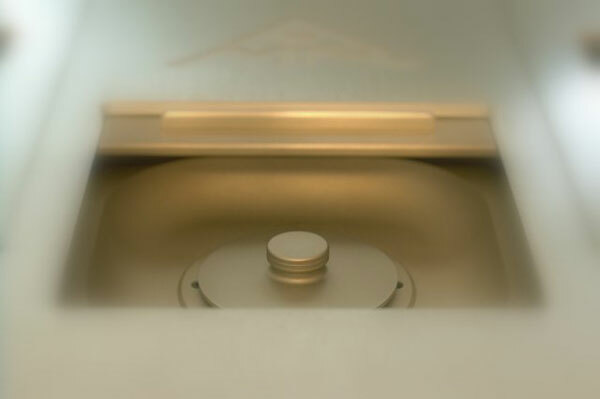 In testing heat sinks, while admirable in a cooling capacity, unwanted vibration and resonance was discovered to the point that it audibly impinged upon the sonic performance of the AM-77. 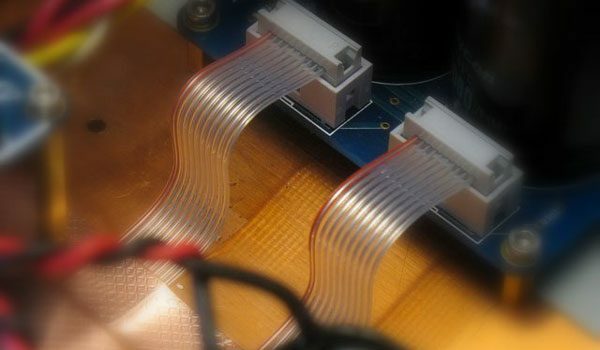 This should be no surprise given that the traditional heatsinks is effectively a combination of many tuning forks. 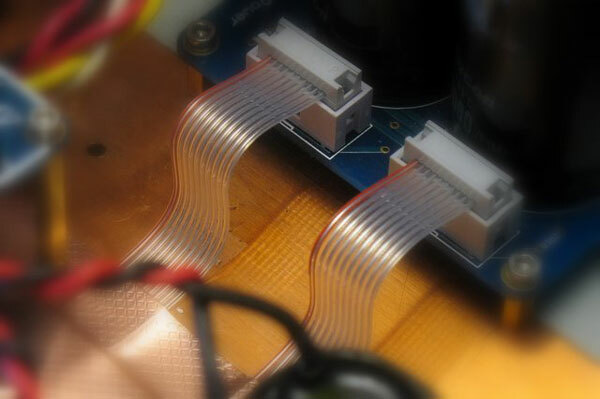 AMR resolved this issue through the “zero heat sink design” which as its name suggests, did away with conventional heat sinks but still managed to effect exceptional cooling performance without unwanted vibration and resonance. 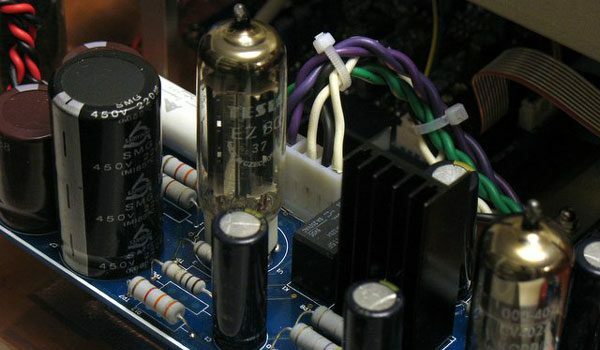 Any Audio Amplifier is only as good as its power supply. This old truism has been said often, but is actually true. An amplifier circuit of any kind does NOT really amplify the signal in the strictest sense of the word. Rather, it acts as a signal-controlled valve that lets more or less of the power supply current flow into the following device (hence the original English name of thermionic electron valve for the first “amplifying” device). 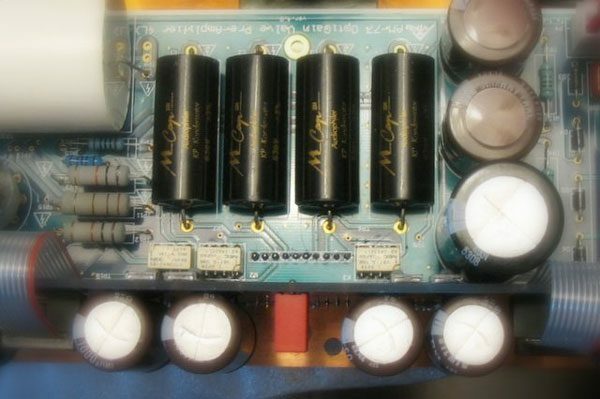 For the lion’s share of mainstream audio equipment that employ thermionic electron valve circuitry, the use of generic solid-state regulators and basic solid-state rectification circuits in the power supply section is prevalent, often for reasons of cost or apathy or both. 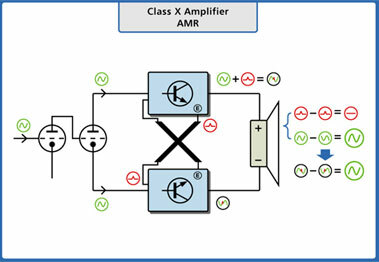 AMR found this approach significantly degraded the sonic performance when compared to supply circuits that do not use regulation. Instead, extensive multi-stage passive filtering has been employed to keep the supply lines free from noise. We remain surprised that while regulators should theoretically result in improved sonic performance; in practice, the opposite is true. However, we have to accept facts as we find them. In order to extract the maximum sonic performance from the thermionic electron valve circuits, AMR developed the OptiPower®supply. 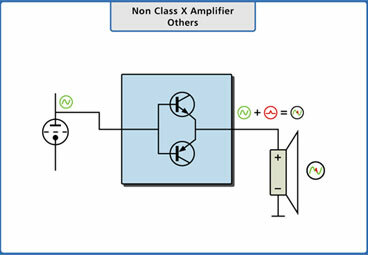 Using extensive multi-stage passive power supply filtering incorporating both choke/capacitor type filters and resistor/capacitor filters, a level of mains noise suppression was attained that significantly exceeded the most advanced regulator circuits and eliminated noise over the widest frequency range. 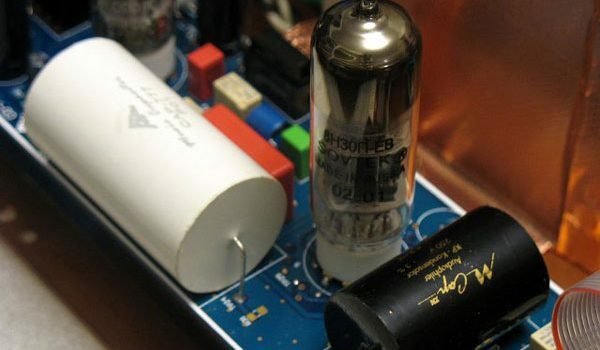 Realising that the power supply is in fact the signal, we use in the filter stages driving the actual amplifier circuitry only the highest quality film capacitors, eschewing inferior electrolytic capacitors in all positions that are critical to the sound quality. It goes without saying that several chokes and even more high-voltage, large value capacitors (including several film types) cost a good deal more than a handful of silicon chips. Working in conjunction with AMR’s patent-pending OptiMains®power conditioning, any type of regulation in and around thermionic electron valve circuits has been ingeniously avoided. In contrast to the “classic era” methods employed in the manufacture of its transformers, AMR is proud of its patent-pending and groundbreaking OptiMains®power conditioning circuit which is at the envelope of audio mains design. 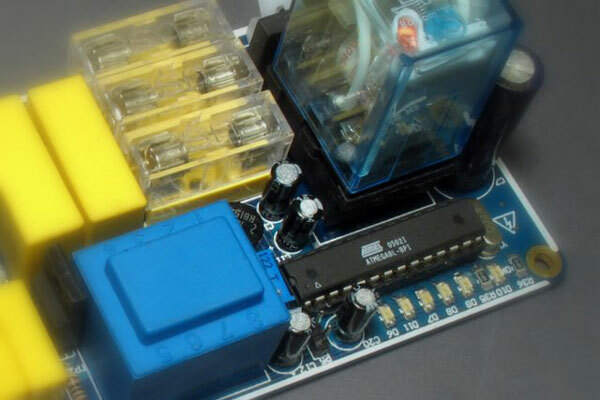 The specially designed intelligent electrical mains control circuit is comprised of several key technologies that combined, immunise the power supply in AMR equipment from just about all noise problems associated with modern mains systems. Noise problems arise from any number of sources. First, variations in mains voltage occur throughout the day due to load changes on the mains grid. Second, and equally commonly, the mains waveform is heavily distorted and is subject to so-called flat-topping. Flat-topping additionally leads to offset voltages that can reduce the efficiency of transformer cores. 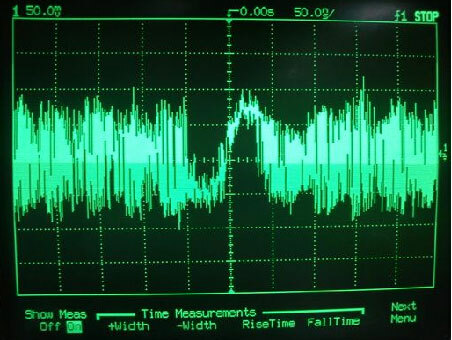 Third, there are numerous types of high frequency noise pick up such as those arising from radio waves. Fourth, there is noise that has been deliberately introduced into the mains system such as from power line-based network communications. With this being the state of affairs in the most developed nations around the globe, it goes without saying that the quality of electricity available in many developing nations is even worse, much worse. High frequency noise in the mains grid may “jump” through mains transformers, meaning the rectification and regulation is just as well as if they where not there, causing problems in downstream audio circuits. 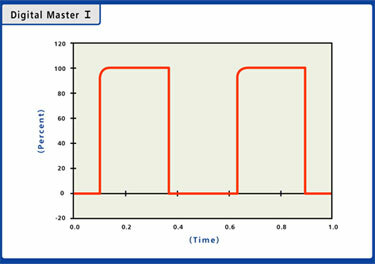 Voltage variations, especially over voltage will reduce the life span of all components. Thermionic electron valves are the worst affected, a 5% over voltage can cut the life span in half. Flat-topping on the other hand results in low supply voltages (despite a normal rms voltmeter reading actually measuring the voltage as nominal! ), with the result that the sound quality is not at its optimum. This is related also to the often observed “magic hour,” where late at night or in the early morning, with the load on the mains system at its lowest, the waveform at its best and with the least noise, sound is often much improved. All these problems conspire to make designing a truly high performance audio device powered from the common mains grid a considerable challenge. The seemingly ideal solution of using batteries, be they rechargeable or not is fraught with a wide range of problems, not least the lack of convenience if you run out of battery power or charge in the middle of your favourite song. Hybrid approaches best called battery buffered have been implemented but seem to have enjoyed less sonic success than pure battery supplies. Thus AMR set out to once and for all resolve the mains powered problem. Attempts to use power factor corrected switched mode supplies, while initially promising, highly economical, lightweight and small, retained too many irresolvable problems to the detriment of sound quality. The eventual solution derived is what we call OptiMains®. First, OptiMains®isolates the power supply from noise and direct current offset in the mains grid. Second, OptiMains®detects and intelligently compensates for variations in the incoming mains, be they in the absolute voltage, due to flat topping or any other reasons. The result is to ensure that the internal electrical supply is unaffected by external fluctuations and is free of noise so that sound quality is therefore always optimised. There are several striking advantages to OptiMains®. Second, the need for an external power-conditioning component is eliminated. In fact, most commercial power conditioners with the exception of so-called double conversion mains regulators do not address half the problems that OptiMains® does. Typical stand-alone power conditioners are not much better as they concentrate on noise reduction only. Third, the lifespan and reliability of both thermionic electron valves and the equipment in general is greatly enhanced regardless of whatever the mains voltage. The power transformer of the audio equipment is usually the most compromised due to its being the single most expensive component. Due to this fact, the downstream power supply and audio chain (remember, an amplifier is actually a valve to let more or less current flow from the power supply into the load) is ultimately compromised unless it has the highest quality mains transformer section at the outset. AMR has taken a contrarian approach by ensuring this section is no less impressively designed and executed than any other subsequent section. With this in mind, AMR’s hand-made, in-house designed OptiTrans®Double C-Core transformer offers truly unrivalled performance. First, its extreme low-flux leakage is perfect for audio circuitry design, avoiding noise radiation into adjacent equipment or into onboard circuitry. 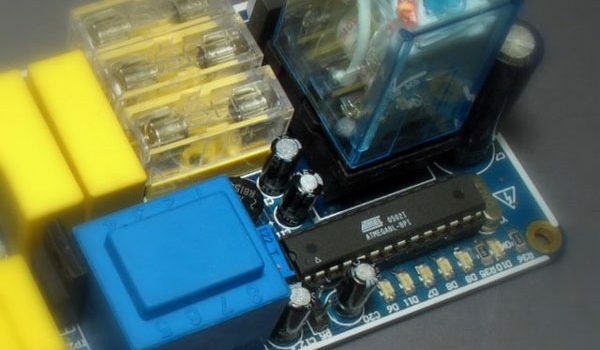 This eliminates the need for a separately placed power supply section to reduce noise. Second, AMR transformers are not machine-spun, but hand-wound using methods drawn from the most exacting industrial and military fields and use sonically superior materials such as specially selected grain-orientated silicon steel. Third, several design parameters in the transformers have been adjusted to optimise the resilience of the transformer to problems in the quality of the incoming mains voltage, especially when combined with the OptiMains®pre-conditioning. Due to this uncompromising approach AMR’s OptiTrans®transformers are less cost-effective as they carry a considerable pricing and weight premium over the more commonly found solutions. The fact that they are of course custom wound in small batches for a sonic quality far superior to off the shelf components produced in the tens of thousands further adds to the cost premium. Not all power supplies are the same. Often a minimum number of windings and transformers are employed to provide a minimal number of rectified voltages, which are then distributed throughout the device and regulated where needed, using a bunch of 10 pence each regulator chips. Clearly in terms of cost economy this is a very good solution. However as now several sections all draw their power supply from the same common source and in effect “release” their noise pollution into this supply, noise cross contamination, ground loops and other problems accrue. Even with the most stringent and conscientious circuit design/layout, this noise pollution cannot completely be eliminated. Hence, is a major source of degraded sound quality. Compared to the industry standard, in every AMR device, prior to the OptiReg®regulation or the OptiPower®supply filter circuit, every single functional block is evaluated with respect to its power supply requirements and is given its own raw power supply. This OptiSeal®power supply circuit means each section has a separate power supply and is not just dual-mono with completely independent supplies for each channel but also in other sections. In the digital circuitry for the CD-77 Compact Disk Processor there is literally a separate power supply line (that is shared with no other section) for each functional block. 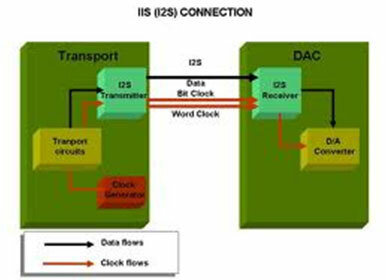 Not only are the Clock Modules and DAC provided with their own separate power supply that is completely insulated from all others separate supplies, but so are the Digital Signal Processing, transport, control microprocessor etc. This means each section has been galvanically sealed from the next to eliminate any noise however insignificant, in one section from polluting another section. This needs of course many separate windings on the transformer that have been galvanically sealed from one another, something which again needs to be paid for when compared to more standard approaches, as is the case for the many added rectifiers and power supply capacitors. Beyond the gorgeous extruded and machined outer aluminium chassis, less obvious key design variables resulted in sonic as well as aesthetic gains. First, with AMR’s OptiChassis®design, the “ratio aureum” (Phi or the golden ratio, first used by the ancient Greeks) was employed in the design of the chassis. Compared to conventional designs, this approach is visually more alluring and offers a much reduced resonance signature, a major concern of any competent chassis design. The application of “ratio aureum” spreads the unavoidable resonance modes away from each other so there is no reinforcement of any particular resonance mode to lead to strong colorations. Second, beneath the outer chassis and in between internal sections, pure solid copper plates were sandwiched to ensure the most effective electrical shielding properties and to minimise resonance. Different materials resonate at different frequencies, hence the use of different layering materials resulted in resonance again being spread and reduced significantly. The fact is that having “left no stone unturned” AMR’s OptiChassis®has been designed to play its fundamental role to contribute to the bewitching sound. With AMR components, unusually, the closer examination, the more significant is the appreciation of the degree of commitment to the product and the level of attention to the smallest details. Not only is there an exceptionally high quality of the fundamental design and of general implementation, but also the quality of components has been given the same, undivided attention. 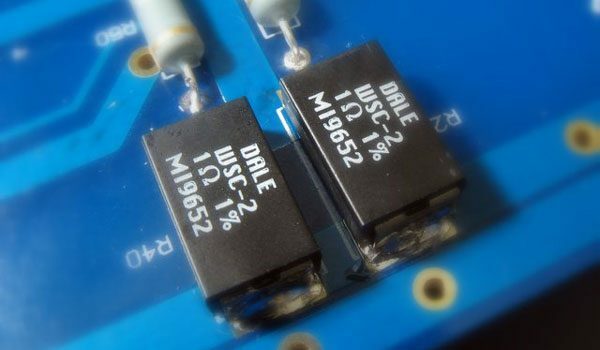 After extensive testing of the digital sections, the latest and most technologically advanced X2Y surface mount capacitors and special PPS surface mount film capacitors (PPS is a near replacement for polystyrene with similar qualities) were selected for lowest inductance. 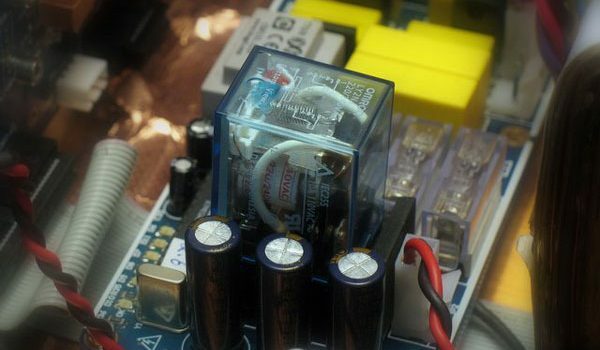 Other specialist capacitors such as Sanyo OSCONs were also used in digital sections to guarantee the lowest noise. 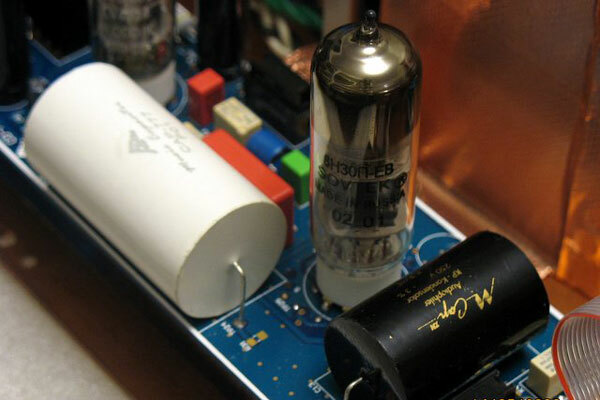 In the analogue sections, German-made Mundorf premium film capacitors, top-grade Elna Silmic and low impedance capacitors are abundant, as are AMR’s own film capacitors. 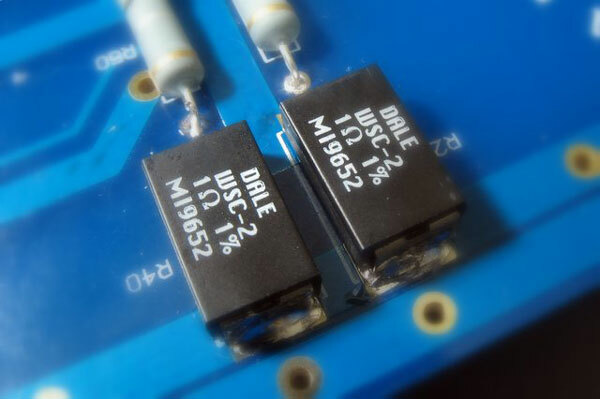 The extensive use of “zero switching noise” schottky diodes as well as a wide range of optimised bypass and transient noise snubber capacitors should not normally warrant a mention. However these are notably absent from otherwise excellent designs elsewhere. Less obvious but just as crucial, to carry the delicate analogue audio signal between sections, expensive FEP Teflon insulated cable was selected as it was found to be the most effective at maintaining the integrity of the analogue audio signal. Even the underpinning was not overlooked as AMR printed circuit boards are designed and manufactured to ultra high-speed RF and military standards which are much more stringent than audio industry specifications. 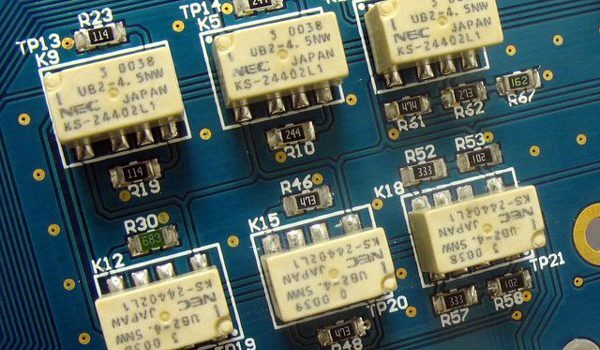 Compared with peer components, the base of an AMR printed circuit board is significantly stronger, the copper tracks are not only 200% of the thickness commonly employed but are gold-plated for lowest resistance and long-term signal integrity. 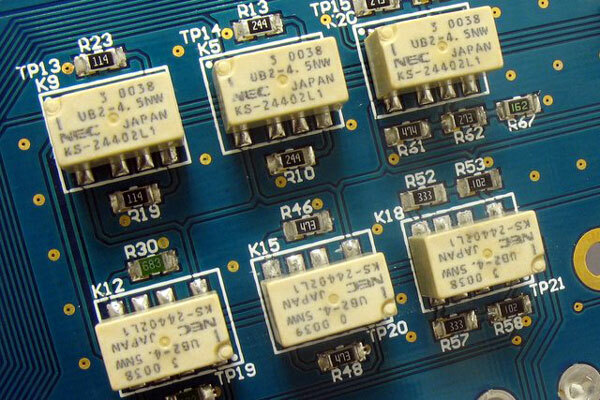 With the resultant advanced damping, superior conductivity and minimal resistance, the prima bugbear of printed circuit boards, circuit introduced noise, has been for all intent and purposes, eliminated. Where is mention of Transport + DAC in the Redbook Standard? When the Compact Disk industry standard called the “Red Book ” was conceived, it never crossed the minds of the designers that the transport section and the Digital-to-Analogue section would not be housed under the same chassis and therefore be no more than several centimetres apart. To transmit the digital signal (which is comprised of many different data streams) between the separate transport and DAC, the “solution” was the Sony/Philips Digital Interconnect Format (SPDIF). It is ironic that the common perception is that the SPDIF is a cure-all for digital signal transmission whereas in actual fact, it is more akin to a band-aid. The reason? It is a little known fact that the SPDIF is actually an analogue transmission system. It was originally developed to transmit a video signal system onto which is “piggybacked” the digital data. 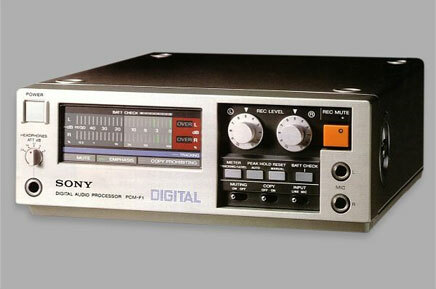 In the late 1970’s, SPDIF was first used when Digital PCM Recording Systems (like the Sony PCM-F1) used the Betamax video tape to store digitally-recorded music. This analogue transmission method is subject to the same problems as conventional video systems that use a single video connection for transmission of the colour TV signal (except in case of SPDIF, clocks and signal are mixed together). Imagine for a moment, the red, blue and green signals from a component video4 signal all carried on the same line! Rubbing more salt into this open wound, nearly all standard receivers use a circuit technology called a Schmitt Trigger to turn this video signal into something that digital circuits can work with. As a Schmitt Trigger circuit uses positive feedback, it will “kick back” a short pulse into the cable and the SPDIF source (e.g. a Computer or CD transport) at the precise point when it switches. This “kickback” causes distortion of the waveform and is one of the significant sources of jitter in the transmission of the SPDIF signal. Therefore the problem being purely analogue in nature, cannot be solved by using digital circuitry; it requires an analogue RF engineering solution. At AMR, to overcome this set of analogue problems we use a perfectly logical, analogue solution: the HD-Valve Digital Input (HD-VDi). A very high frequency valve (a valve that operates to several hundred MHz) in a zero feedback circuit (derived from military radio receiver front-end technology) amplifies the incoming SPDIF signal for the Digital Processor-777’s two “HD” SPDIF inputs. Even with sources that have incorrect output levels or a poor wave form, the input receiver gets a clean, correct level and a virtually perfect source signal to lock onto. At the same time it also eliminates the commonly seen glitch at the trigger point of the receiver, which sends energy to the source. 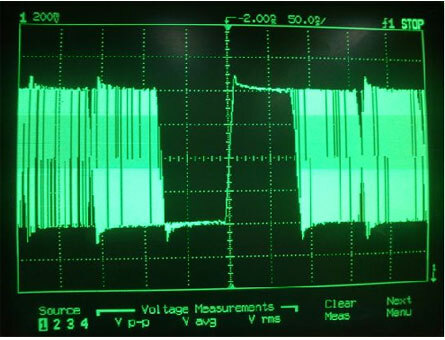 In practice, the difference between a typical poor square wave “before” and the almost perfect square wave “after” the HD-VDi section is quite jaw-dropping. Below is a HP/Agilent Oscilloscope depiction of the results which are a real eye opener. 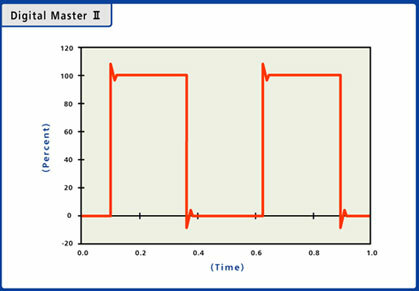 The first graph outlines the typical real-life SPDIF signal that following transmission bear little resemblance to the original square wave. The second graph shows the same SPDIF signal with the HD-VDi engaged. It is clearly visible that the signal has been transformed from a blurred to clean and sharp SPDIF signal.